I can't believe I've been uploading my curious flittery thoughts for a whole year now, and you, my cool-as-hell glittery readers, actually read them. Ohhhh! I didn't know I came so late to the party. Happy Birthday! Have a drink on us. happy blog b-day! love the photo..
happy birthday to you! I can't believe it's been a year, that means it's nearly my blog birthday too! Happy Bloggy Birthday! I love reading your blog, even though I have long since passed the days of being a bride. Thanks for the link love! Love you too! Happy blogiversary. 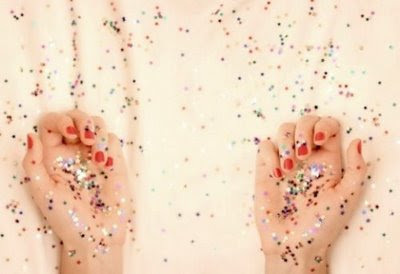 flittery glittery. we loves you. yay! weird how fast time goes... when you are staring at the internet. all the time. you're honestly the coolest blog i follow. seriously, sometimes when i read your posts, i feel like the annoying high school cheerleader type who's trying to hang with the cool kids, pretending to smoke and then coughing and everyone looks at you accusingly cause they know you're faking it. congrats, congrats! just love this little blog of yours!